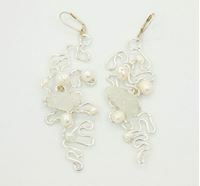 All sea glass jewelry earrings are designed with genuine, hand-collected sea glass. Each pair is shipped in a designers recycled eco-friendly box. We offer a large variety of color and style to meet your needs.